Gallo Builders, Inc. has been constructing new homes, subdivisions, condominiums, duplexes and apartments in Worcester County Mass for over thirty-five years. A strong commitment to professionalism, quality, and customer satisfaction has earned Gallo Builders, Inc. a highly respected reputation. The tradition of home building began in the Gallo family in the1920’s when Robert Gallo’s grandfather came to America from Italy as a skilled brick mason. The family business expanded as Robert’s father began building homes. It continued to grow naturally as Robert took over and started his construction company in the 1960s. In-house Design Team: Our creative in-house design team analyzes customer needs, and provides professional design solutions. While creating homes that are both comfortable and beautiful, we specialize in designing floor plans that are strategically calculated to provide the most effective and efficient use of space. A detailed illustration of your custom home is created utilizing the most advanced technology. In-house Sales Team: Our in-house sales team guides customers through every step of the construction process. Whether it be assisting you in choosing fixture, sending your Purchase and Sale Agreement electronically, or finalizing designs decisions, we are with you every step of the way. Today our innovation has put us ahead of the curve in quality home construction. As we continually strive to build a better house, we carefully research the building materials and products we put into our homes. We work with our distributors and visit our manufactures to ensure we use the best materials available. By staying on top of industry advances we can offer our customers better windows, better siding, better insulation or a better roof. We look forward to building a beautiful custom Gallo home for you. 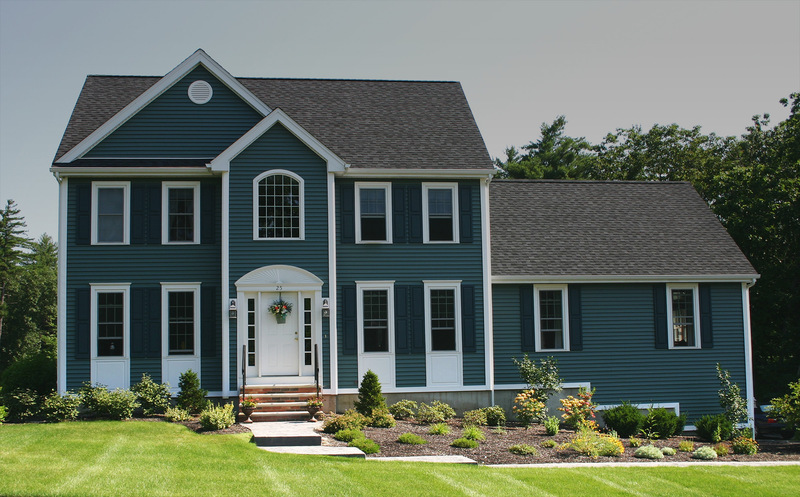 For over forty years, Gallo Builders Inc., has been constructing high-quality homes for families throughout the Worcester County area. From charming starter-homes, to luxurious 5,000 square-foot estates, Gallo Builders is dedicated to providing an unmatched level of quality-construction, and a strong commitment to professionalism.Gallo Builders has been building ENERGY STAR homes in Massachusetts for over ten years. These certified homes meet the highest standards created by the Environmental Protection Agency For Energy-Efficiency, and are verified by an accredited third-party Home Energy Rater. Each home is equipped with effective air sealing, insulation, HVAC (heating, ventilation, air-conditioning and cooling), combustion heating systems and appliances, and follows a thermal bypass checklist. Gallo’s ENERGY STAR homes save families thousands each year on costly utility bills and escalating energy prices. Last year, ENERGY STAR labeled homes saved families more than $270 million on utility bills, while avoiding greenhouse gas emissions equivalent to those from 370,000 vehicles. ENERGY STAR certified new homes are designed and built to standards well above most other homes on the market today, delivering energy efficiency savings of up to 30 percent when compared to typical new homes. A new home that has earned the ENERGY STAR label has undergone a process of inspections, testing, and verification to meet strict requirements set by the U.S. Environmental Protection Agency, delivering better quality, better comfort, and better durability. Energy Star is a voluntary program from the Environmental Protection Agency (EPA). The program is designed to save money as well as the environment through energy efficiency. The program has tax incentives and rebates available for everything from insulation and windows to the use of energy efficient lighting and appliances.